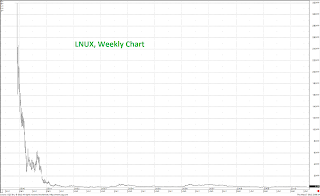 With a lot of Web 2.0 companies going public lately and some talk of a speculative bubble, I thought it'd be good to illustrate the apex of insanity during the first dotcom bubble w/charts of VA Linux. 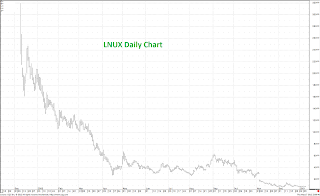 In December of 1999 the open source software company became regarded as the most 'successful' IPO of all time with a pricing at $30/share and an opening print of 299, traded as high as 320 but then closed at 239.25 on the day. Pretty wild that at the end of the day LNUX had a market cap of something like $7 billion and that year only did around $20 million in revs reporting a loss, of course, of around $15 million. Of course it wouldn't last and within a year the stock was under $10. 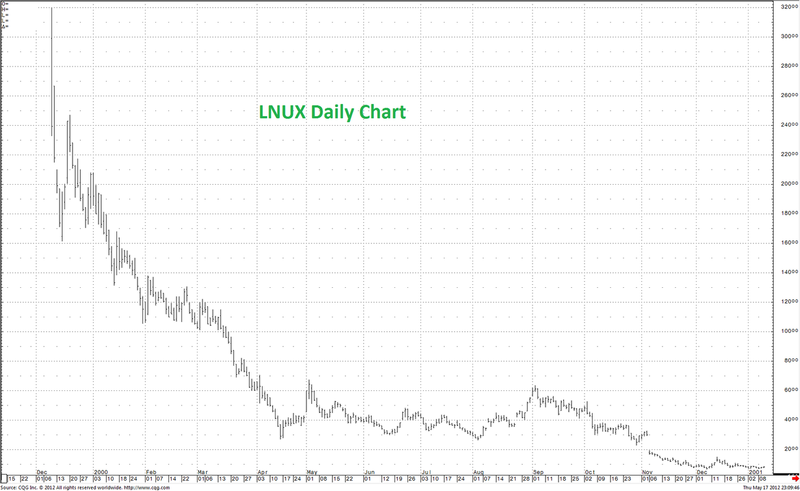 By the time the lockup expired six months after the IPO it was just a little bit above the IPO price of 30 by trading at 38.50 which is really tough luck for the insiders. That era was a wild time and while I was too young at 19 to get a piece of it but as a consolation I was able to witness some of the insanity being on an order desk at the CME directly below the NASDAQ pit. In the future I'll roll out some more dotcom stocks but am trying to stick to futures. 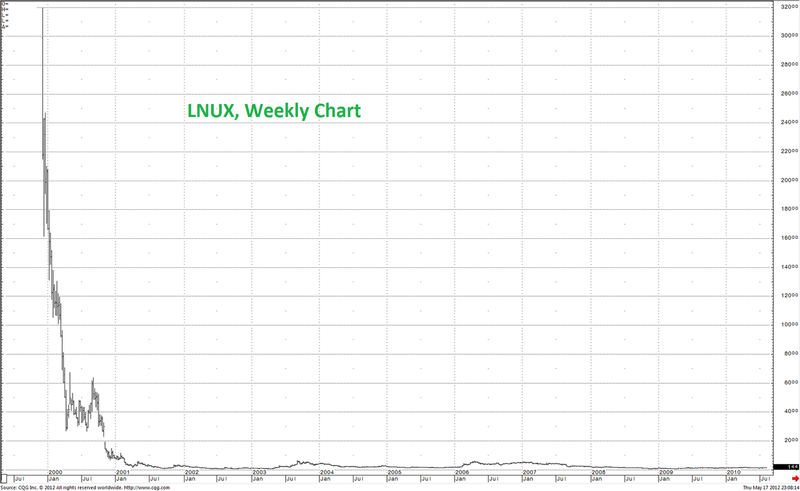 Believe it or not, VA Linux still exists in some form as it was bought by Geeknet now under the symbol GKNT.